Mexico's "Beyond All-Inclusive, Beyond All-Compare" Velas Resorts rolls out Cinco de Mayo cocktails for guests staying at its luxury resorts in Puerto Vallarta, Riviera Maya and Riviera Nayarit on May 5th. Grand Velas Riviera Maya will feature the Ignacio Zaragoza Cocktail, named after the Mexican General who defeated the French in the Battle of Puebla on May 5, 1862. Velas Vallarta will serve the Victoria Tropicale, a fruity martini that symbolizes the Mexican victoria (victory in English). 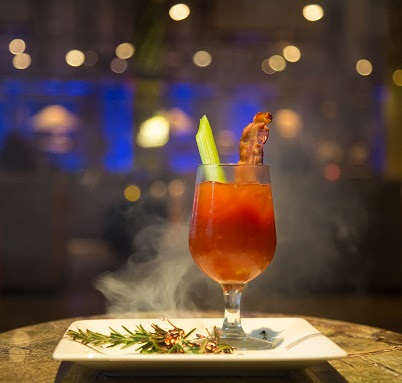 The Mexican Bite at Grand Velas Riviera Nayarit is red, one of the colors of the Mexican flag, which represents the Spaniards that joined in the quest for Independence and the blood of the national heroes. 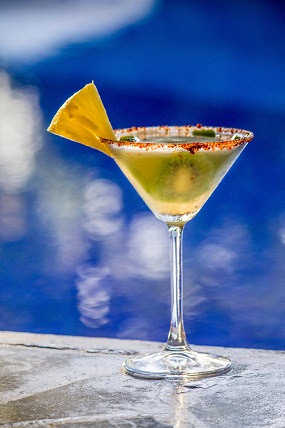 At Casa Velas, the 2000 Martini is named after the 2,000 Mexicans who defeated the 6,000 French troops. For those unable to travel to Mexico to celebrate Cinco de Mayo, Velas Resorts shares its cocktail recipes below. Oregano-Infused Tequila - Wrap 1 tbsp oregano in a cheesecloth and tie with kitchen twine. Macerate the oregano in 1 liter of tequila, letting sit for two days to a month. Remove the oregano and filter the tequila through a cheese cloth. Combine the kiwi and pineapple in a blender, and strain to separate the liquid from the pulp. Pour liquid into a shaker along with the mezcal, simple syrup, lemon juice and ice. Shake strongly. 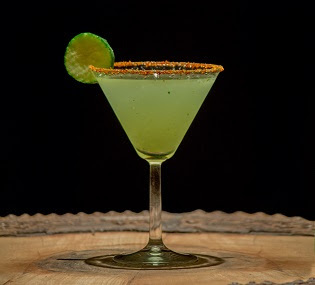 Serve in a martini glass previously rimmed with tajin chili salt. 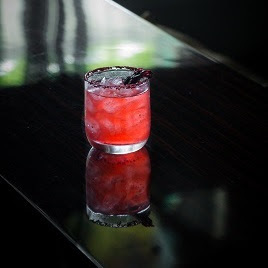 Combine the PAMA, mescal, cranberry juice, simple syrup, and lemon juice in a shaker. Shake strongly and pour over ice in a glass. Macerate cucumber with coriander in shaker. Add the vodka, lemon juice, simple syrup and ice. Shake strongly. Offering unparalleled all-inclusive experiences, the four Velas Resorts in Riviera Maya, Puerto Vallarta and Riviera Nayarit have earned more than 43 AAA Diamonds, including the prestigious Five Diamond Award. Other esteemed international awards for their services and facilities include Virtuoso's "Best Spa", Conde Nast Johansens' "Most Excellent Resort" and "Most Excellent Spa Hotel" and the American Academy of Hospitality Sciences' 5 Star Diamond Award. Properties include Casa Velas named the 8th Best Hotel in the World on The Expedia® 2013 Insiders' SelectTM List, a boutique adults-only hotel and ocean club located on the Marina Vallarta Golf Course, and Velas Vallarta a family-friendly all suites resort and spa located on Banderas Bay, both in Puerto Vallarta; and the AAA Five Diamond Grand Velas Riviera Nayarit located in Riviera Nayarit. Completing the group is Grand Velas Riviera Maya, located five minutes from Playa del Carmen, offering the most sophisticated, ultra luxury all-inclusive resort experience in the Caribbean with jungle and beach settings. Velas Resorts feature spacious accommodations, spas, a unique culinary experience at a selection of restaurants, 24-hour insuite service, fitness centers, Butler service, state of the art conference centers, extensive family programs, fully stocked mini bar and more. Velas Resorts are operated by Eduardo Vela Ruiz, majority owner, founder and president of Velas Resorts, with brother Juan Vela by his side, vice president of Velas Resorts.